for the Jubilee 'Styled by You' special! It doesn't have to be Jubilee themed - just show me what you wore this lovely long weekend. It might be red/white/blue, it might be a work uniform or it might be a fierce dress for a night out! 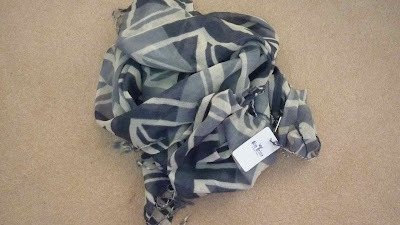 Email your photo to schoolgatestyle@yahoo.co.uk and everyone will be entered in a draw to win a delicately woven, pure wool Grey Union Jack scarf, made by Scarf Envy. Open to everyone no matter where you live - I'm happy to post the scarf internationally. Closing date is Wednesday 6th June at 9pm with the winner announced on Friday's blog! Meanwhile, check out some of Rebecca's gorgeous scarves on her site, including the gorgeous Jubilee scarf (out of stock but on pre-order) and some fabulous summer scarves with prices from only £5.99 and free delivery on all UK orders. Love how you've tied that scarf - how do you do that knot? 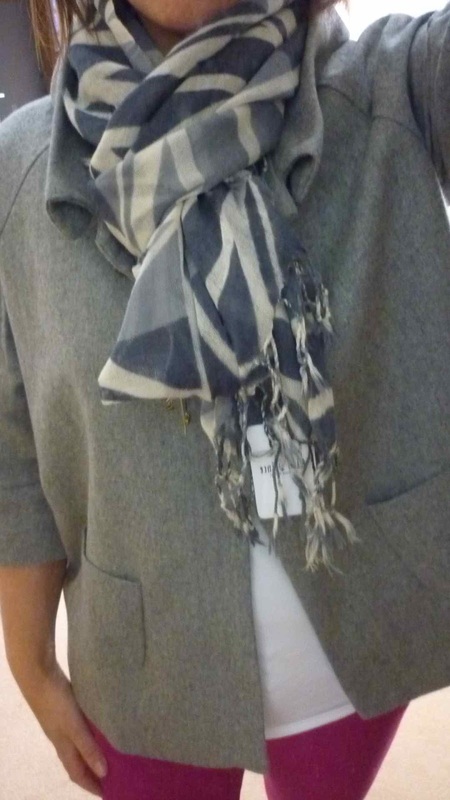 I always hopeless with scarves, even though I've watched the tutorials on Youtube. I agree - was thinking the same thing! I really love the olive star print scarf on that site. Thanks for pointing me towards Room 31 Avril - I just ordered a fitted denim jacket for £5. Bargain!